1. 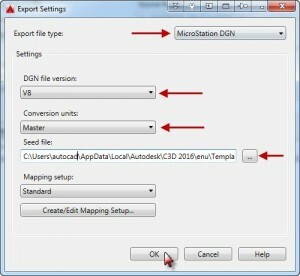 In AutoCAD Civil 3D, open a DWG drawing file to convert to MicroStation DGN. 3. 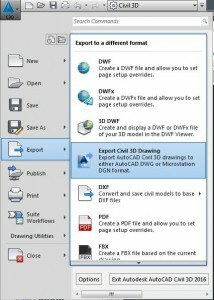 The “Export AutoCAD Civil 3D Drawing” dialog will appear. 4. Click the “Export Settings…” button. 5. 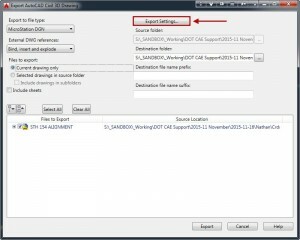 The “Export Settings” dialog will appear. 7. Set the “DGN file version:” and “Conversion units:” as desired. 10. Set “External DWG references:” to the desired setting. 12. 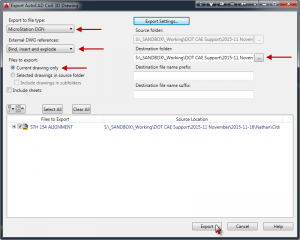 Set the “Destination folder:” and a file prefix or suffix if desired. Bryan is a CAD Specialist at EnvisionCAD and provides expertise in AutoCAD and Civil3D production, support and development services.